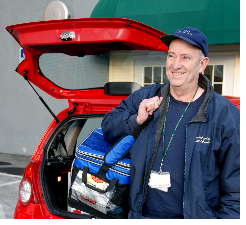 We are experts at transporting medical supplies, samples and specimens between medical facilities, clinical laboratories, doctors' offices, pharmacies and blood banks in Vermont & New Hampshire. 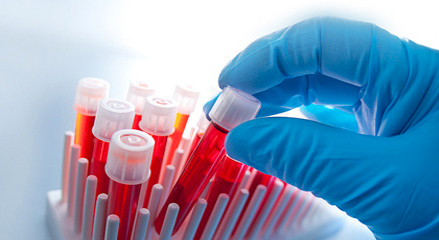 Our trained, experienced, dedicated & dependable drivers will take care of your time and temperature sensitive specimens and packages reliably and efficiently. 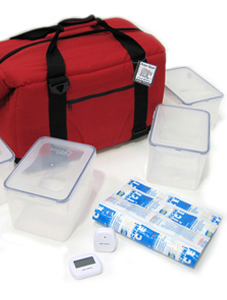 We are experts at transporting time and temperature sensitive medical supplies, samples and specimens. 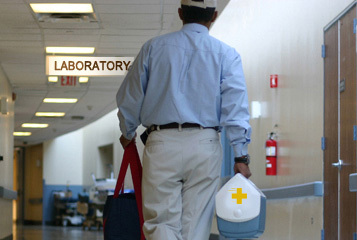 We offer routes that work for you between medical facilities, clinical laboratories, doctors' offices, pharmacies and blood banks. - Emergency / Specialized / Customized non-scheduled routes. We know how important these specimens/packages/products are to you and are committed to giving you reliable, efficient and prompt pick-up and delivery. 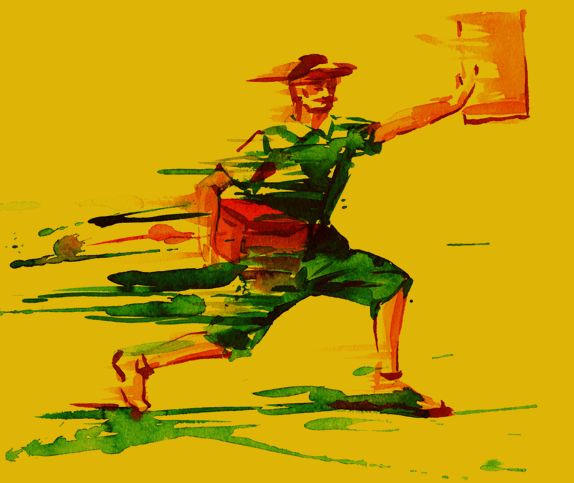 We are in constant communication with our drivers and know where the specimen or package is from pick-up to delivery. 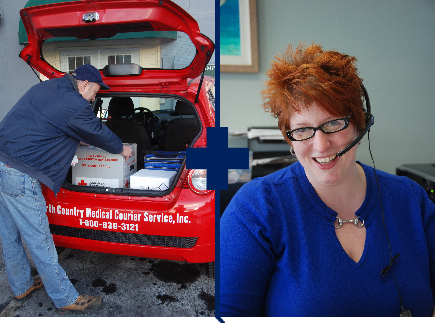 - Trained and experienced in the transportation and handling of medical specimens & supplies. - Easily identifiable to you. - Dedicated individuals who will learn who you are and the procedures that meet your needs. and Retail sales & delivery of Dry Ice. We are an operator owned company based in Lebanon, New Hampshire. We work and live near three major medical institutions (Dartmouth Hitchcock Medical Hospital, Alice Peck Day Memorial Hospital and VA Medical Center, White River Junction, VT) and two major interstates (I-91 and I-89). We've been in business since 1986. We know what is feasible and what is not. We know what is the most effective and efficient way to meet your needs. Bobbi JEAN, the owner, Florence and Nate are based at the operations hub in Rivermill, Mechanic Street in Lebanon, NH. 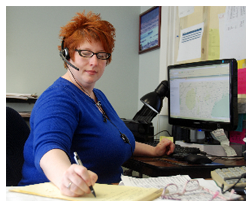 When you call us, Bobbi, Florence or Nate will pick up the phone so you can get the information you need straight away. Our staff and fleet of vehicles are in operation everyday in New Hampshire and Vermont on scheduled routes and non-scheduled trips. We are responsive and flexible. "We never worry about your stuff because it is always here!" We’ll find the most efficient and effective way to meet your needs. ©2016 North Country Medical Courier Service, Inc.